Quikly ignites existing loyalty programs and improves the performance of key strategic objectives. Quikly makes it easy and exciting for your existing loyalty program members to share their love and invite their friends to join. We make it easy and exciting for your members to explore new products, discover and share new content, download resources, watch videos, submit reviews, and more. Quikly loyalty campaigns can immediately motivate new members and current customers to learn more about your current program. Quikly campaigns are a great way to introduce sales-driving excitement into your loyalty program with an upsell, a cross-sell, or new product introduction. Reactivate dormant members and gain insights that will improve customer loyalty and generate customer retention. 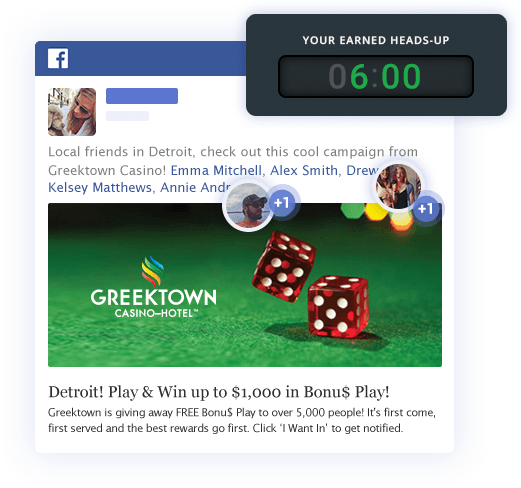 Surprise and delight campaigns are a key CRM strategy to keep customers engaged and motivate spend. 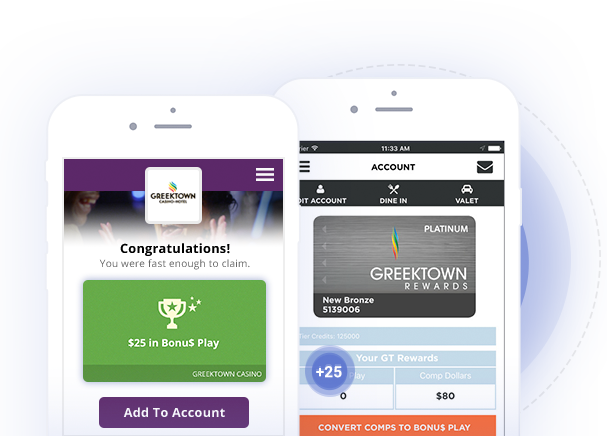 As part of this strategy, Greektown Casino partnered with Quikly to use their Bonu$ Play currency to drive immediate GT Rewards member spend, encourage mobile app use, and grow loyalty program membership through local social referrals. 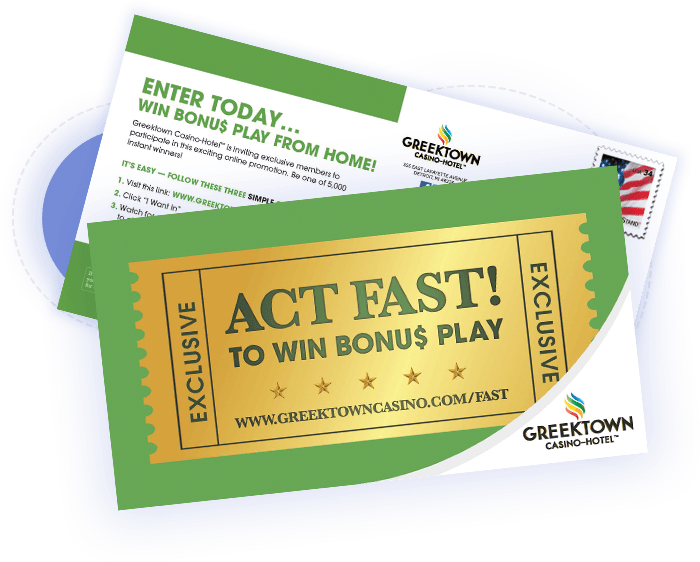 Bonu$ Play currency earned by members during the experience drove immediate casino foot traffic and spend. Brands can expect up to 25% greater offer redemption from consumers when using Quikly.